A balanced contrast is something designers are often hoping to achieve. 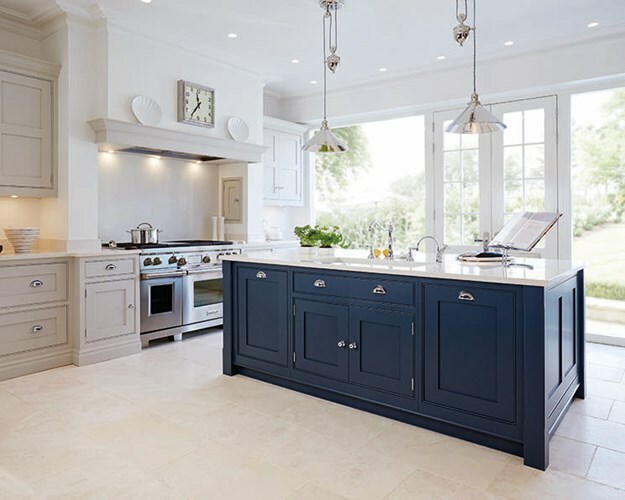 Here is a take on what could have been a black and white kitchen, however it is more sophisticated, subtle and interesting. 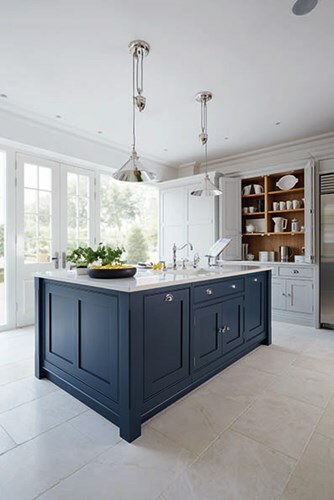 An inky navy blue island is contrasted with pale grey cabinetry by Tom Howley kitchens. 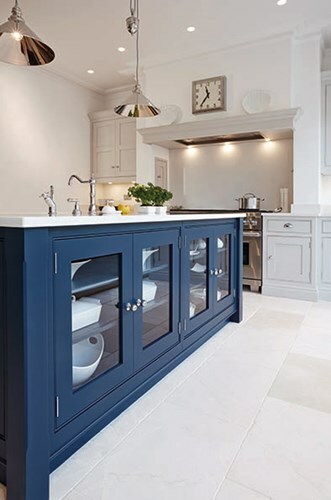 The kitchen is hand painted in Tom Howley Tansy, Sorrel & Lithodora, and has a Yukon Silestone bench top. 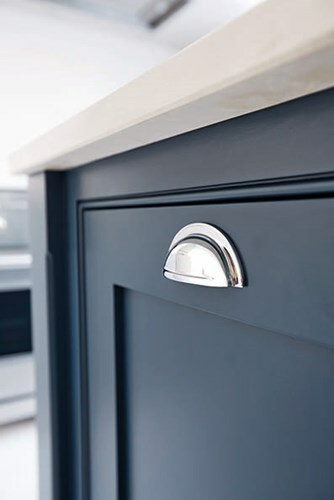 Refreshing without being too daring, this kitchen is both casual and subtly glamorous.